At Wander Beauty HQ, we're all obessed with our multitasking beauty essentials. 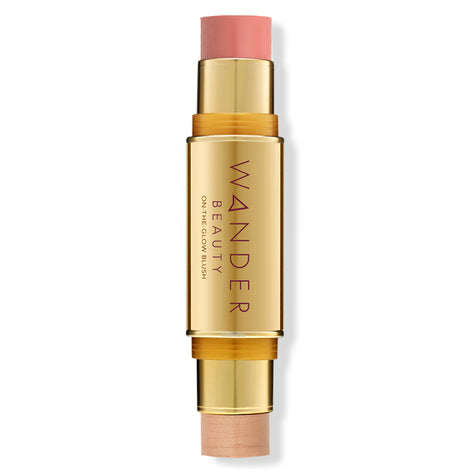 Our bags are full of our Wander Beauty faves! Keep reading to check out the must haves that never leave our desks! "Dualist Concealer packs the 1-2 punch I need to brighten dark circles using the illuminating liquid and cover redness with the matte stick. Having everything I need to fix my face in one portable essential is a lifesaver, since I'm probably running late and doing my makeup while on my way to wherever I need to be. This amazing buildable formula is perfect for quick touch ups on-the-go and hydrates my skin all day without making my feel or look oily. The creamy formula allows for easy use with a brush application, sponge or even your fingers. This never leave my makeup bag and is the best for travel without having a giant bottle in my makeup bag. "Works as a full coverage powder foundation when I want something super lightweight. I just use the rubicell applicator and pat onto skin. Sometimes I also use it as a finishing powder with a fluffy brush." "I bring my On The Glow Blush around with me at all times. It is perfect for touching up in the middle of the day. It is also very versatile since I use the blush end on my cheeks, eyes, and lips. The highlighter gives me the best radiance on my cheekbone, nose bridge, cupid's bow, and chin." Learn more about our multitaskers here!